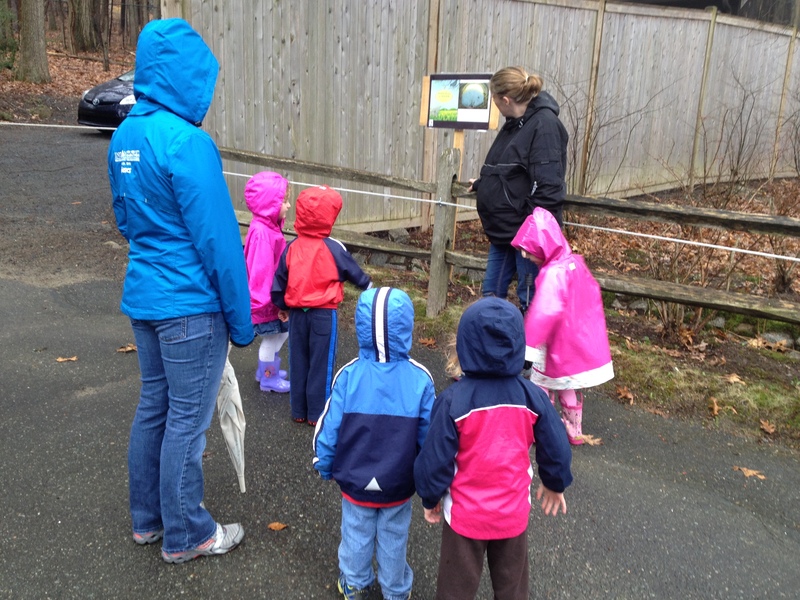 On a rainy day last month in Milton, preschoolers and their parents wearing raincoats and boots went for a “StoryWalk,” at Mass Audubon’s Blue Hills Trailside Museum. What’s a StoryWalk? Children go for a walk and stop along the way where the pages of a book are posted so they can hear the story read aloud — or read it themselves or to a younger sibling. In this case, the book read was “Possum and the Peeper” by Anne Hunter, a seasonally appropriate book about a possum woken from his winter nap by peeping sounds. Laminated pages of the book were posted along the way. The Patriot Ledger has a photo gallery of the StoryWalk here. Susan Dolan, the director of the Milton Early Childhood Alliance, organized this StoryWalk with the Trailside Museum, and she explains that StoryWalks promote early literacy, encourage parents and children to do outdoor activities, and support the crucial idea that parents are their children’s first teachers. In addition, Dolan says, StoryWalks introduce parents and children to new books. This StoryWalk also celebrated two April events: 1) the Week of the Young Child, an annual celebration sponsored by the National Association for the Education of Young Children (NAEYC); and 2) Brain Building in Progress Week, a partnership that unites the Massachusetts Department of Early Education and Care and the United Way of Massachusetts Bay and the Merrimack Valley with early education and child care providers, academic researchers, individuals, and business leaders. “I receive phone calls saying: When is the next book going up?” Dolan said in a recent interview. The answer: more books will go up in the summer and in the fall, and their themes will tie into the changing seasons. StoryWalks were created by Vermont resident Anne Ferguson in collaboration with the Vermont Bicycle and Pedestrian Coalition and the Kellogg-Hubbard Library. StoryWalks have been installed in 45 states as well as in Germany, Canada, England, and Bermuda, according to the Kellogg-Hubbard Library’s website. 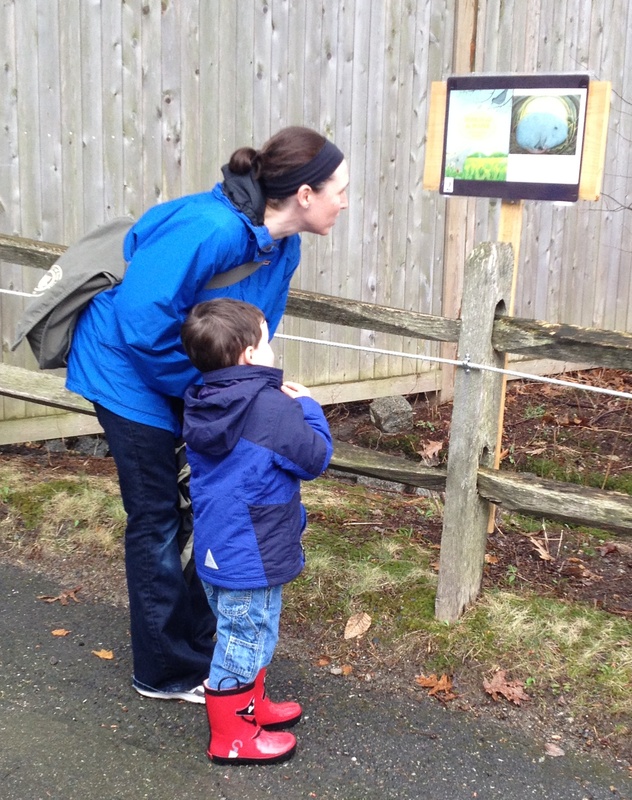 The Boston Children’s Museum has collected StoryWalk materials that can be reused by Massachusetts’ Coordinated Family and Community Engagement Programs, which serve families with infants, toddlers, and preschoolers. Funding for this work comes from the Museums/Libraries Project of The Race to the Top – Early Learning Challenge grant. More information about StoryWalks can be found on the Boston Children’s Museum website. 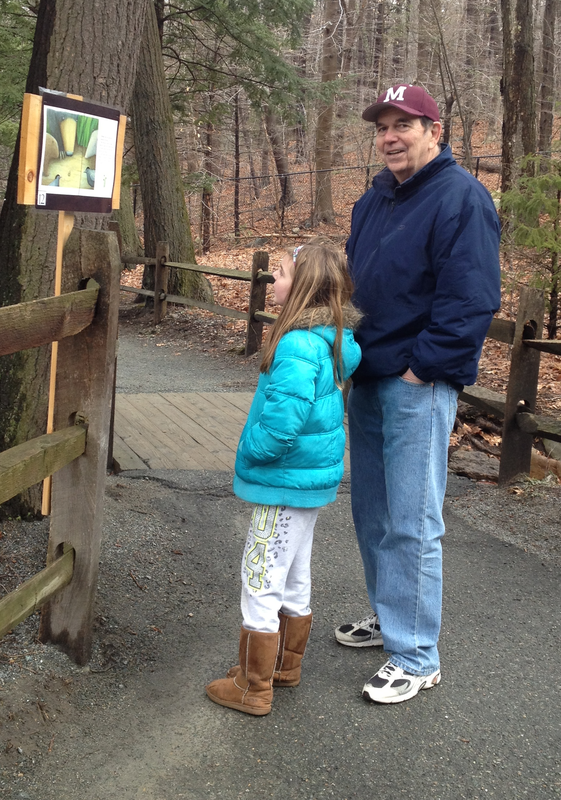 So if you’d enjoy reading to a child in the great outdoors, go take a StoryWalk — or sponsor one.